Mumbai: What furthers a nation is the education & empowerment of its women who constitute an integral part of our country’s progress. Like a set of bangles, integral to a woman’s identity, fundamentals such as, health, nutrition, sanitation, livelihoods, rights based advocacy and digital literacy among others are critical to her development. These initiatives not only seek to elevate women’s position in society but also help them earn their livelihoods. This focus is also of national priority as evident in the ‘Beti Bachao, Beti Padhao” Yojana of the Central Government. 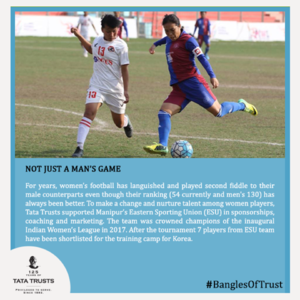 Tata Trusts have always valued the catalytic effect that enabling women has in transforming communities and recognises the need for their empowerment. Consider a set of 6 bangles a woman might typically wear, the first bangle of critical need is her access to health. 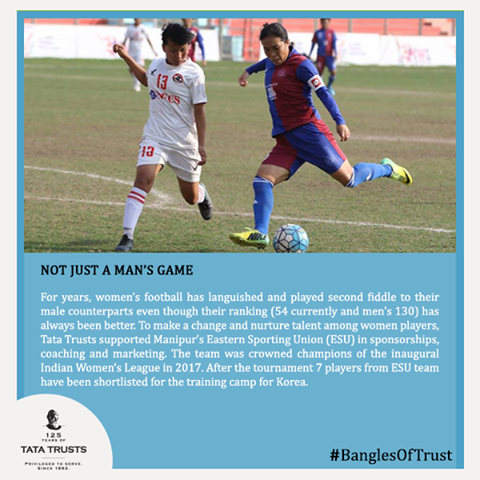 Tata Trusts have worked across the states of West Bengal and Maharashtra to provide facilities that acknowledge women’s health requirements, focusing on screenings and tests for the early detection of Breast Cancer. Furthermore, skilling homeless women with mental health issues, to lead independent and dignified lives. Another key area of work for the Trusts is that of nutrition. The effects of insufficient nutrition transcend generations and Tata Trusts work towards systemic change to facilitate healthier mothers, new-borns and adolescent girls. Adopting a multi-pronged approach that spans technological advancements such as data monitoring apps for ANM workers in Maharashtra to harnessing the reach of SHG networks for the distribution of DFS in rural geographies of Uttar Pradesh, the trusts endeavors to create long-term sustainable impact, positively affecting these crucial health indicators. The second of these bangles may be identified as that of education, highlighting the needs of women across various age groups. Tata Trusts are working to provide functional literacy to those women who were unable to complete any formal means of schooling, furnishing them with the basic tools to take on daily challenges. To avoid such situations for the next generation, Tata Trusts incorporates a large number of female students in its ITE (Integrated Approach to Technology in Education) Program, where young girls are brought up to speed with technological advancements by intertwining basic education with the technological developments of the 21st century. To allow for teacher’s to impart knowledge at an optimum level, ITE enables teachers to design and students to create their learning artefacts. Another bangle focuses on women’s needs for sanitation and hygiene. 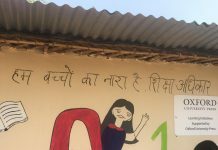 Through educating and empowering the communities across 2 states, this third bangle is enabling adolescent girls to lead their lives with dignity by encouraging them to adopt safe menstrual practices that protect their reproductive health thereby breaking the silence and taboo around the subject of menstrual hygiene. A fourth bangle, is that of livelihood creation. In order to foster an environment of self-sufficiency and independence the Trusts through its myriad of programs works with female community members to develop means of employment, be it in the traditional fields of agriculture and animal husbandry or the more modern areas of employment such as the skill building partnership with Priyadarshini cabs allowing women a route to enter an otherwise male dominated urban field. The Trusts strive to arm it’s communities with the latest developments in agricultural practices and together evolve more effective means for irrigation, harvesting and energy generation. These interventions span the nation in close to 15 states across the country. Creating a level playing field extends to the digital realm as well here Tata Trusts deploys its fifth bangle of imparting digital literacy to the women of rural India. Along with partners, the Trusts work in 11 states, providing training, tutorials and engagement to allow women to harness the full potential of the Internet and the power of technology. Another facet of work in this space is the introduction of women to ‘digital-based livelihoods’, this focuses on the creation of digital entrepreneurs who have access to the online marketplace therein widening their scope for information and creating sustainable livelihood avenues. This fosters an environment of curiosity, liberating them from the shackles of ignorance and opening up avenues for advancement. The sixth and final bangle is equally important to ensure that women’s rights remain at the heart of policy. Tata Trusts work collaboratively with the Government to promote rights based advocacy be it in the space of nutritional requirements or employment based schemes.